Lamar University’s football team has one of the all-time legends of college football helping them kickoff the season. 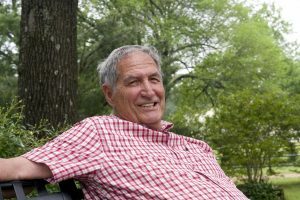 Iconic coach Gene Stallings will speak at the program’s annual football banquet. The banquet is being held August 28th at 6 p.m. at the Montagne Center. In addition to hearing from Stallings, this event serves as the first opportunity for fans to meet the 2016 Lamar players and coaches. There will also be a live and silent auction. Individual tickets for the banquet cost $130 while VIP tables range in price from $1,000-$5,000. Stallings made a name as the head coach at his alma mater Texas A&M and Alabama. He took over the Aggies when he was 29 years old and led the program for seven seasons. After a lengthy run as an assistant coach in the NFL with the Dallas Cowboys, Stallings was head coach of the St. Louis/Phoenix Cardinals from 1986-1989. He took over the Alabama program in 1990 and led the Crimson Tide to the 1992 National Championship. Stallings was a two-time Southeastern Conference Coach of the Year at Alabama and won four SEC West titles. He was inducted into the College Football Hall of Fame in 2011.